The masters of greatness are not successful because they got lucky or are innately more talented, but because they applied specific habits and tools to embrace and overcome adversity in their lives. 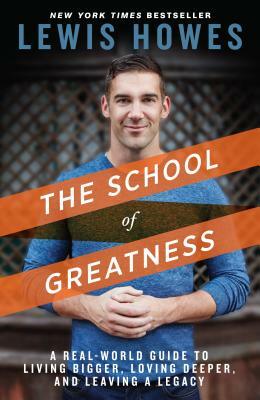 Lewis Howes shares the essential tips and habits he gathered in interviewing "the greats" on his wildly popular podcast of the same name. In discussion with people like Olympic gold medalist Shawn Johnson and Pencils of Promise CEO Adam Braun, Howes teaches us how to apply the same techniques to unearth and cultivate success from within. Lewis Howes is an online marketing expert, sought-after business coach, podcast and webinar host, speaker, and angel investor. He is the host of "The School of Greatness" podcast. He was recognized in a 2013 White House ceremony by President Obama as one of the top 100 entrepreneurs in the country under age 30. He lives in West Hollywood, CA.